Hanson Landscape has recently received a nomination as a finalist for Landscaper of the Year through Total Landscape Care Magazine. The program recognizes the best landscapers in North America and is presented by Case Construction Company. 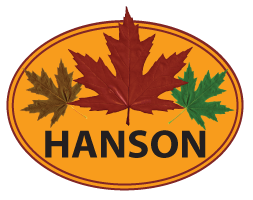 Hanson Landscape has been chosen as one of the twelve best landscaping companies in North America and we will have our company history and story featured in Total Landscape Care Magazine in their landscaper of the year section at some point in 2014. Some of the factors that go into picking the finalists are portfolio of work, services offered, business techniques, community involvement and what sets them apart from others in the industry. The finalists all get a full-length magazine article with photos of their projects. We are honored to receive a nomination as a finalist and look forward to meeting with a representative and eventually seeing the final results! For more information on the Landscaper of the Year contest, click here.